What's the difference between a synonym and an antonym? A picture is worth a thousand words. These pages look at the colourful language of simile, metaphor, hyperbole and oxymoron. Dysphemisms are the opposite of euphemisms and are usually derogatory or unpleasant terms used in place of neutral ones. Conversational phrases are expressions that are typically used in speaking, less so in writing. 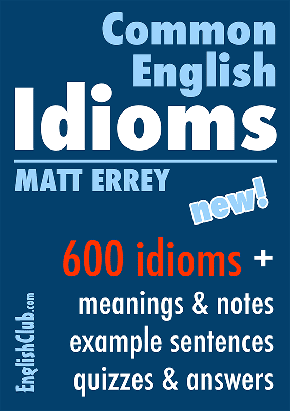 Common English idioms in categories, with meanings, example sentences and quizzes. Collocations are words that go together, like fast food or vaguely remember. 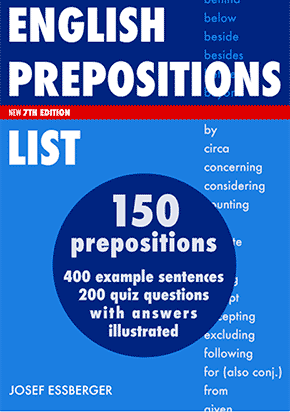 These pages explain collocations and give examples of common collocations, as well as a collocations quiz and more advanced collocations.